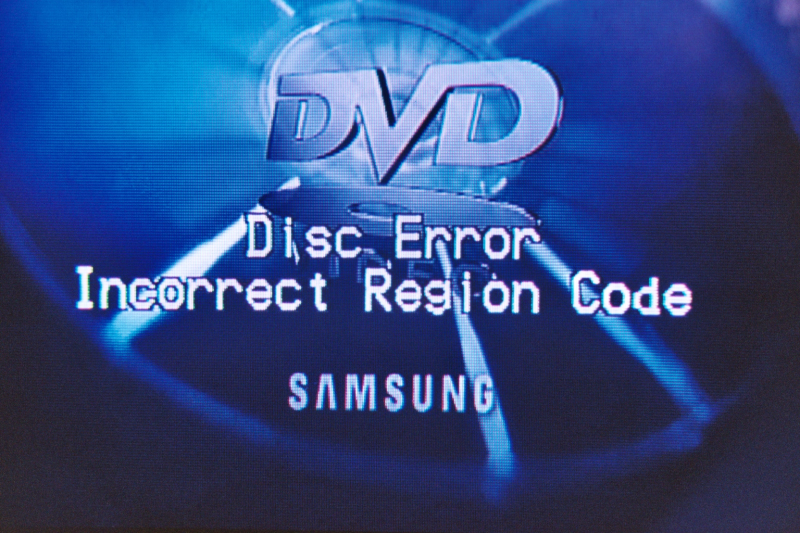 What does a DVD Region Code mean? - For example: standard DVD players purchased in the U.S. or Canada will only play DVDs that specify they are REGION 1 dvds; standard DVD players purchased in New Zealand will only play DVDs that specify they are REGION 4 DVDs. - For example: Region 4 DVDs WON'T PLAY in a standard Region 1 DVD player; Region 1 DVDs WON'T PLAY in a standard Region 4 DVD player. - U.S.A. and CANADA share the SAME REGION CODE: Region 1. An R1 dvd purchased in Canada is exactly the same as an R1 dvd purchased in the U.S., and vice versa. There are also region codes "7" and "8", which have special purposes. 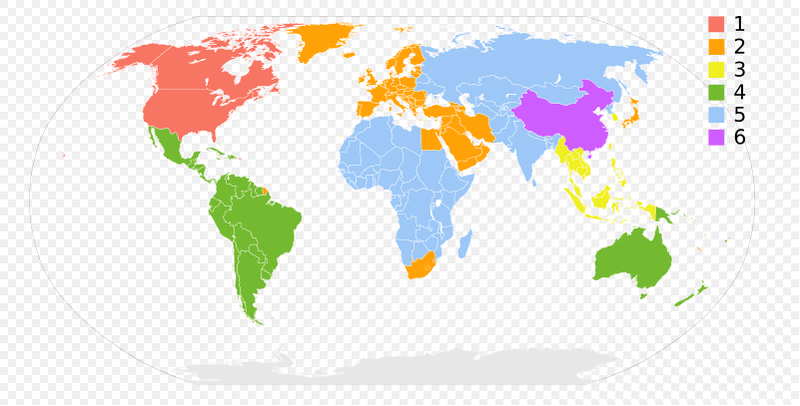 For a more detailed breakdown of where these region codes are used, see the Wikipedia article DVD region code. There are some foreign DVDs sold in North America which have a region code of "1", including films produced in the UK that are intended for sale in North America. The reason why is that the North American market is large enough to justify a separate North American release of very popular films. For example, in the USA I can purchase a DVD of Das Boot (Bavaria Film, 1981) with region code "1". However, there may never be a North American release of less popular films, for example Das letzte U-Boot (DEFA, 1993), and if such DVDs are purchased from countries in other regions they will not play on North American video equipment. 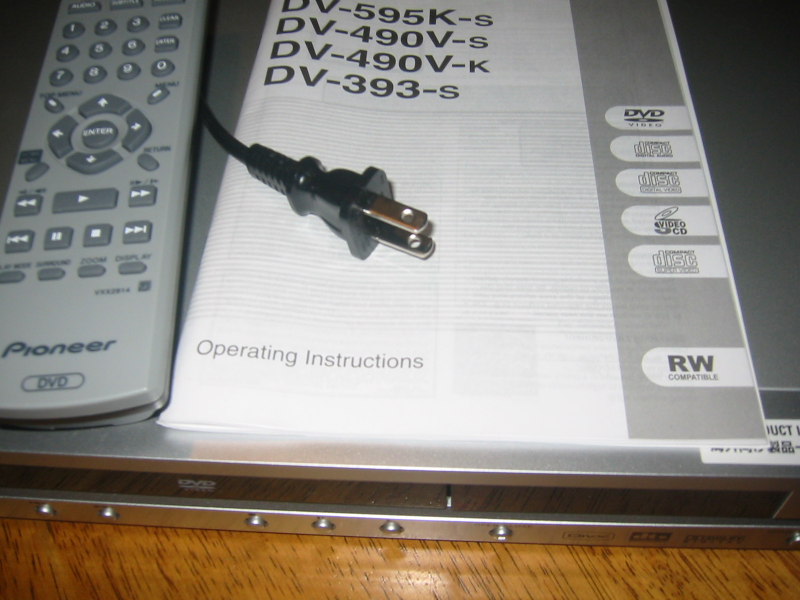 There is some discussion on the Internet about codes for "unlocking" DVD players so that they can play DVDs having other region codes. I tried this with my DVD player (a Samsung DVD-V1000 purchased in 2002), but was unable to get it to work. However, you might be able to unlock your DVD player, so before going any farther you might want to look into this. What Is the Reason for DVD Region Codes? The official reason why the system of region codes was established was to make it possible to release a film in one region, for example North America, before it was released in another region, for example Europe, and prevent people in the region where the film has not yet been released (in this case Europe) from buying DVDs from the region where the film was first released (in this case North America); that is, to prevent Europeans from buying the North American version. The rationale was that if too many Europeans bought the North American version, this would cut into sales of the European versions. However, since DVDs of even very old films such as Casablanca (Warner Bros., 1942) have region codes, many people suspect that the real reason for them is to enforce price differentials in different markets (see SPEECH/01/275 of Mario Monti, European Commissioner for Competition Policy, entitled Content, Competition and Consumers: Innovation and Choice), similar to how pharmaceutical companies enforce price differentials between the USA and Canada for the same drugs. For example, as of this writing the film Syriana (Warner Bros., 2005) costs from US$5.99 (Amazon.com) to US$14.99 (Barnes & Noble) in North America, whereas in Germany I paid 15.99 Euros for it (purchased at the Saturn store in the PEP shopping center at Hanns-Seidel-Platz in Neuperlach Zentrum in the summer of 2007). Whatever the real reason for the introduction of region codes, there is no technical reason why they are necessary: From the perspective of people who want to watch DVDs from other parts of the world, region codes are merely an artificial obstacle that needs to be overcome. I do not know how the features and price of this DVD player compare with those of comparable players, nor am I certain that every DVD player bearing this model number is region-free, so I am not recommending this one over other brands. If you choose to purchase such a piece of equipment, you yourself should check the different models that are available, what features they offer, how much they cost, etc. However, apart from the question of brand, price, etc., this type of equipment is definitely more versatile, since it can play DVDs having ANY region code, not merely those having the region code where it was purchased. It is also more straightforward to use, since it can definitely use North American electrical current and does not even require a plug adapter. Moreover, such players typically can also output signals encoded using different video encoding standards (see below). Some such players are supposed to be able to recognize what video encoding is expected and automatically switch over; however, whether this is switch-over is automatic or needs to be done manually is not very important, because it only needs to be done when the player is first connected to the display equipment (television set), which is usually only done once. Unlock region codes on DVD: EaseFab DVD Ripper gets around country code blocks and makes any built-in region codes unlocked and convertible. It can decrypt regional-playback control (RPC) encryption, Region-code Enhanced (RCE) or any other region locks. Remove region codes on DVD: When backed up using EaseFab DVD Ripper, all DVDs become region free in the output files. After copying DVD into different regions, users can further edit them, convert them or move them without worrying about the compatibility with the region-locked DVD players. Convert regional DVDs: not only a region code remover, EaseFab DVD Ripper is also a region coded DVD converter. It can convert region encrypted DVDs to AVI, MP4, H.264, MPEG, WMV, MOV, M2TS and FLV. 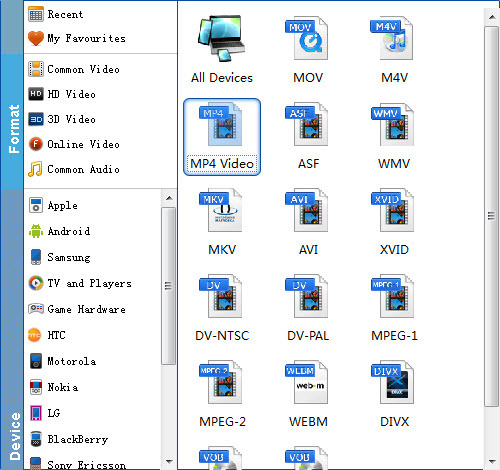 After conversion, DVD owners are enabled to transfer collection of DVD's some region 1 onto memory stick, hard drive, USB flash drive, MicroSD Memory Card and so on or even play back the DVD videos on Android (Samsung, HTC, Google, Amazon, Xiaomi, Aquos, Fujitsu), iPad, iPhone, Apple TV, WP8, Surface Pro, PSP and more. Copy regional DVDs: EaseFab DVD Ripper can be also used an exciting all-region DVD copy software. It will help you easily back up any commercial DVD movies without any troubles. Two different copy modes: Title Mode and Full Disc Mode are provided to let you copy the exact movie part you want. With it, you can effortlessly keep your DVD discs from scratched, damaged, or manage your movies in more convenient way! Warm up: Get the DVD ripper downloaded and installed on your PC or Mac. Step 2: Click Profile (located below where your DVD files are displayed) and select the format you want from the drop-down list. Just below Profile is Output, here you can browse your computer for a better destination folder for DVD Ripper to save your converted movies. As you see, all regular video and audio formats like MP4, MOV, MKV, WMV, AVI, FLV, MP3, WMA, WAV, M4A, etc. are provided. Step 3: Once you've selected the output file format you want, you're ready to rip. Simply click the Convert button to start removing DVD Region Code and ripping DVD on your Mac computer. after a fraction of seconds, you can play your DVD movie on Mac without taking along DVD player.